Odlo and HeiQ, are co-launching a triple-action sustainable odor control technology - another breakthrough in the HeiQ Fresh Tech product family. Smelling fresh allows us to do what we like without having to worry about bad smell on our apparel. That insight brought these two companies together already 13 years ago, as HeiQ developed for Odlo an odor control textile finish that would last 100 washes – known as Effect by Odlo. 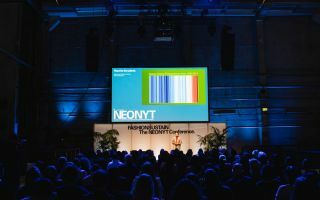 HeiQ and Odlo spent thousands of hours in the laboratory and in the field to develop HeiQ Pure SPQR, which is the latest breakthrough in the HeiQ Fresh Tech product family and will be engineered into Odlo’s Spring/Summer’2020 next-to-skin products. HeiQ Pure SPQR is derived from renewable and recycled sources (1), and delivers a triple-action for an unprecedented odor control efficiency: first, with only one-tenth of silver-ion content as compared to general silver-based odor control treatments (2), it is able to effectively impair the metabolism of bacteria (the process that turns odorless sweat into body odor). This is due to the second action – bio-based amino sugar polymer anchors silver-ions to amplify their performance and durability. 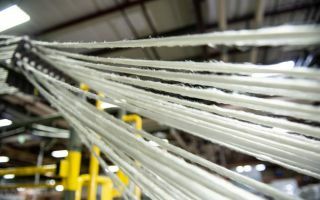 And third, at a microscopic level, the amino sugar polymer creates a durable barrier film around the fiber, preventing odor compounds from sticking on the textile. 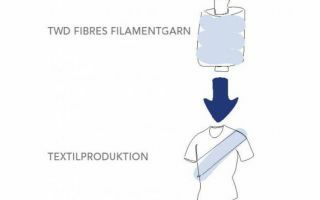 Thus garments can be washed easily at low temperature, which extends the usable life of the garment and is more sustainable. “We have tested odor control treatments from multiple suppliers. The result from the Odlo-HeiQ co-innovation is by far better than anything else we find in the market today,” Høgberg added. “It’s with great pride that we fulfill our promise to our late mentor Odd Lofteroed Jr. to never give up and never be content with the status quo. Once again with Odlo we are one step ahead of our competitors in providing a better and more sustainable odor control solution,” said Carlo Centonze, co-founder and CEO of HeiQ. 13 years ago, late Odd Lofteroed Jr., then CEO of Odlo, led young HeiQ in developing HeiQ’s first odor control innovation that is today used worldwide in more than 500 million garments by over 100 active wear brands. HeiQ Fresh Tech is now a family of effective odor-preventing and odoradsorbing textile technologies. (1) 96.5 % of the entire HeiQ Pure SPQR formulation come from recycled and renewable source. , HeiQ Pure SPQR also is certified as 68% bio-based according to ISO/IEC 17025 standards, while posing no harm to the food chain. (2) HeiQ Pure SPQR contains only 0.14% of silver-ions as active ingredients while most silver-based odor control treatments contain 1.4%. Final silver content on garment varies with application and %w.o.f. dosage.